When we consciously relate to our ancestors, it can be a tremendous source of healing, guidance and companionship. It can help us to relate more positively in our communities. Making it a daily ritual to honor the people who have come and gone before us is so important for any kind of spiritual work. It opens the door to a part of ourselves we haven’t yet healed or acknowledged. Even if you do not know anything about your lineage or blood family, try to find the place inside yourself to honor those who have come before you. Honoring our ancestors includes not only our blood relatives. We can draw upon strength of anyone who have come before us who has inspired or influenced us. Writers, artists, healers, activists, etc. Make an ancestral alter– You can make it as simple as using just a small shelf, a table,or space in your garden or as elaborate as a whole room. Use the elements, fire, water, air and earth. Add photos, names, things or symbols that are of your culture or heritage. Anything that resonates with you can be added. Its all about what gives you meaning theres no right or wrong. An alter can help us to connect with another part of ourselves, not just in our minds but into our heart and into our bones. Our ancestors are in our bones, and in our DNA. Dream work– Take time to meditate or start a dream journal . Scientists are telling us now what many of us have intuitively already known, which is that repeated intense emotions can change our DNA and DNA is what we’re passing along on the physical plane. You can definitely inherit emotional and spiritual patterns just as you would hereditary diseases. Connecting with the spirits of your ancestors in the dream world can help you see what kind of healing needs to be done or the deep wisdom that is already within you. Clear your mind, set your intention and focus on your breath before meditation or sleep. Pay attention to what comes to you. The Plants– To use these plants in ancestral healing and connection, you can; make a sache, smudge, carry with you in a pouch, sleep with them under a pillow, add to your alter, diffuse in a pot of water on the stove, use flower essences or essential oils. Make tea and use as a foot soak or wash for your floors. Its not necessary to take an internal dose. Chaperal– Takes us back to our roots and helps us to connect with our ancestors. Rose– Protective and healing to the energetic heart. helps us to move forward from the heart and not the head. helps us to honor ourselves for deeper healing work. Beargrass– Gives us strength to calm and center the heart. Helps us to really connect with old wisdom and trust your heart. Supports us in remembering that our deepest wisdom is in our heart center and its not only is not only our wisdom but our strength. Rosemary– For when you’re feeling unworthy or insignificant. Rosemary can help you feel worthy of carrying on the future. 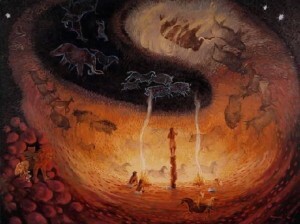 Its about survival of the earth and helps rid generational curses, and generational patterning. It is also very protective of your energy and helps you create healthy boundaries. Our ancestors are a part of us as we are a part of them. they are a part of our communities just as we are. The people before us have given us everything we have and honoring them can strengthen community from the roots on a spiritual level. We’re in a time where the news is full of scarcity, violence and corruption. 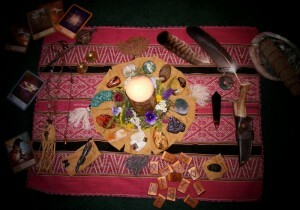 How can we make room for abundance and call in the wisdom of our ancestors. 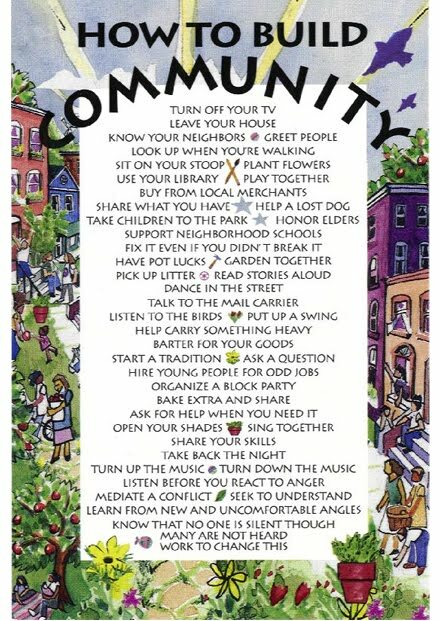 What can we do personally to support and strengthen our own community? How can we stand up for those who are not being heard? For the people who are struggling everyday just to survive and for their basic rights. For those of us who have more choices and have more options, how can we show up even more for those people whose voices aren’t heard? What is getting in your way of connecting with others? Where and what is the fear? What do you have that you can be sharing more of with the people around you? Your most valuable gift to the world is yourself. What gets in the way of you sharing your true self with those around you? In most cases these road blocks stem from fear, what is the fear? Once we acknowledge our fears we can work on them more easily and can start blooming more fully in ourselves. Foxglove– For mental inflexibility, when our own ideas get in the way of growth or when we re lacking perspective in a situation.For emotional and physical tension,foxglove helps to breakdown emotional barriers around the heart built from fear. Supports expansion in our perspective and ability to see through and transfer what is beneath it. Strengthens the heart to be more open and compassionate. Clary sage– Brightens the heart and lightens the mood. Helps to bring people together through laughter and joy. Opens up the ability to receive love and help. Rose geranium– Encourages group harmony, helps to weave grace through the fabric of family and community. When feeling vulnerable and fragile, rose geranium helps our inner grace and beauty to shine through. When let that happen often times it gets reflected back to us. Rose– Knowing whats in your heart and speaking your truth. Helps us to check in and express love and truth. Scullcap– As an internal dose for when you’re feeling bitter, wired, anxious or reactive. A litte bit can go a long away to help you mellow out and think more clearly. California Poppy– As an internal dose when you’re feeling overly sensitive, or emotionally fragile. Sage– For clearer communication. Enhances communication with your soul. Take your time with each of these plants. You don’t want to use all of them at once because it would be too much energy. Take one for a couple weeks and see how it feels for you. Work with it before adding another. be creative in how you use them. Connect and honor people who have inspired you in your life, who have passed on and passed down wisdom and knowledge. Take care of yourself, and take care of each other. Cultivate compassion and clear communication for ourselves, our ancestors and our community so we can sustain our work toward more mindful and peaceful ways of living in the world and in our lives.